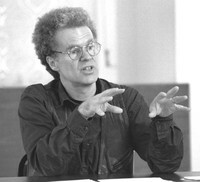 Erik Olin Wright is an American analytical Marxist sociologist, specializing in social stratification, and in egalitarian alternative futures to capitalism. He is the current (2012) President of the American Sociological Association. Erik Olin Wright received two BAs (from Harvard College in 1968, and from Balliol College in 1970), and the PhD from University of California, Berkeley, in 1976. Since that time, he has been a professor of sociology at University of Wisconsin - Madison. Wright has been described as an "influential new left theorist." His work is concerned mainly with the study of social classes, and in particular with the task of providing an update to and elaboration of the Marxist concept of class, in order to enable Marxist and non-Marxist researchers alike to use 'class' to explain and predict people's material interests, lived experiences, living conditions, incomes, organizational capacities and willingness to engage in collective action, political leanings, etc. In addition, he has attempted to develop class categories that would allow researchers to compare and contrast the class structures and dynamics of different advanced capitalist and 'post-capitalist' societies. Rising inequality of income and power, along with the recent convulsions in the finance sector, have made the search for alternatives to unbridled capitalism more urgent than ever. Yet there has been a global retreat by the Left: on the assumption that liberal capitalism is the only game in town, political theorists tend to dismiss as utopian any attempt to rethink our social and economic relations. As Fredric Jameson first argued, it is now easier for us to imagine the end of the world than an alternative to capitalism. 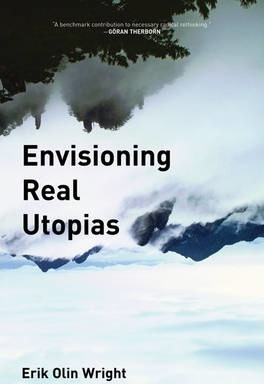 Erik Olin Wrightâ€™s Envisioning Real Utopias is a comprehensive assault on the quietism of contemporary social theory. Building on a lifetimeâ€™s work analyzing the class system in the developed world, as well as exploring the problem of the transition to a socialist alternative, Wright has now completed a systematic reconstruction of the core values and feasible goals for Left theorists and political actors. Envisioning Real Utopias aims to put the social back into socialism, laying the foundations for a set of concrete, emancipatory alternatives to the capitalist system. Characteristically rigorous and engaging, this will become a landmark of social thought for the twenty-first century.